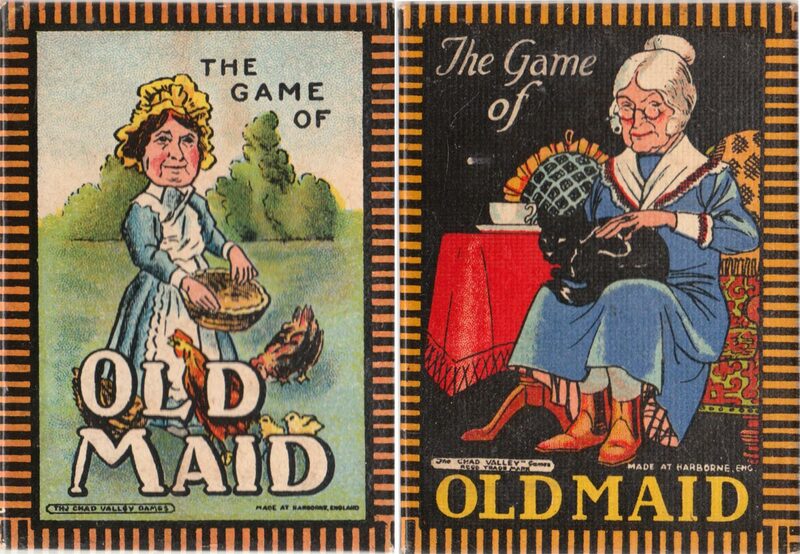 Two different editions of “The Game of Old Maid” by the Chad Valley Games Co., Harborne, England. 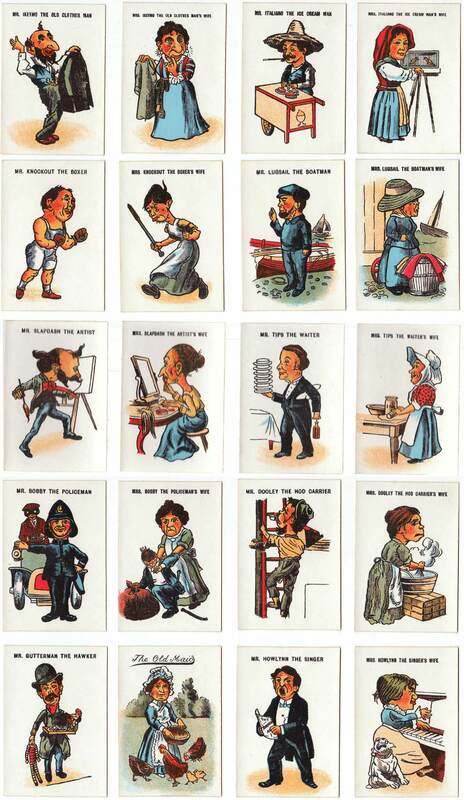 Above: “The Game of Old Maid” by the Chad Valley Games Co., c.1910. 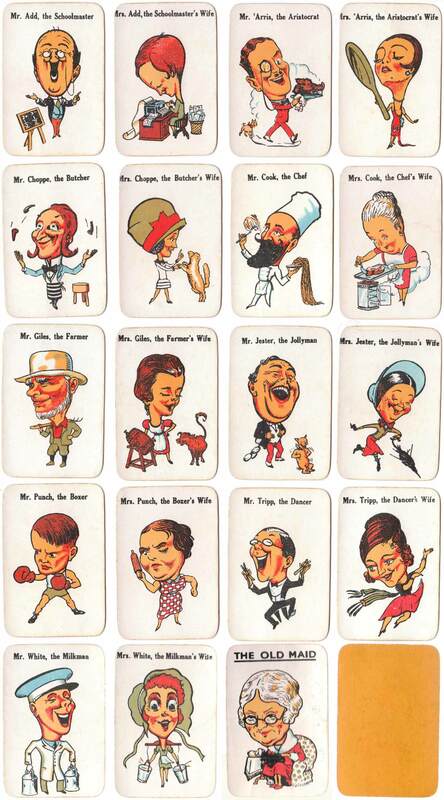 Images courtesy Rex Pitts. 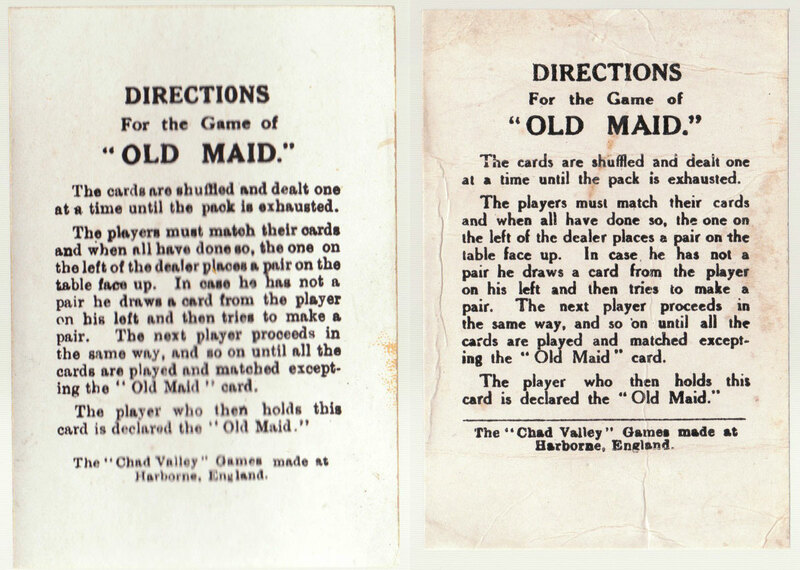 Above: “The Game of Old Maid” by the Chad Valley Games Co., c.1930s. Images courtesy Rex Pitts.